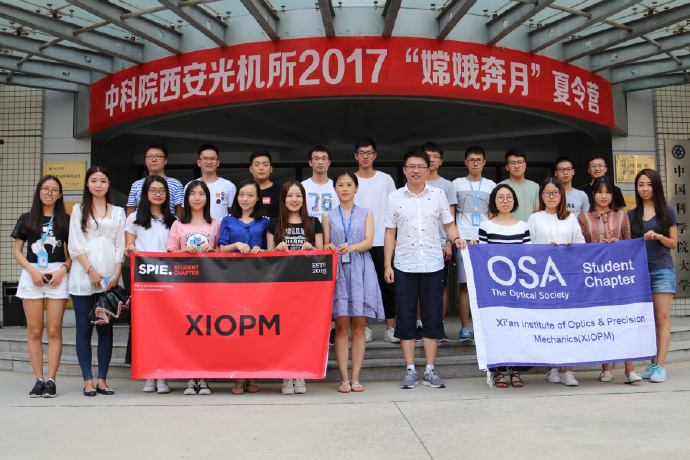 OSA/SPIE Student Chapter of Xi’an Institute of Optics and Precision Mechanics, Chinese Academy of Sciences (XIOPM OSA/SPIE Student Chapter) was established on Oct. 30th, 2015 with An Pan as president and Prof. Xuelong Li as the chief advisor who is the deputy director of XIOPM and a fellow of AAAS, SPIE, OSA, IEEE, IAPR, IET/IEE, BCS, IOP and HEA. 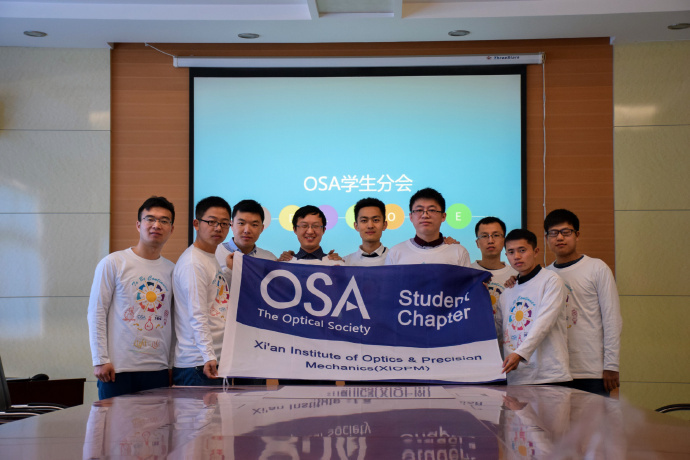 Our chapter is an academic organization including master and Ph.D. Students, aiming at popularizing optics and some other related fields, as well as serving the public and strengthening self-development. It also provides a platform for academic exchanges and enables students to broaden horizons, improve professional skills and strengthen contacts with domestic and overseas researchers. 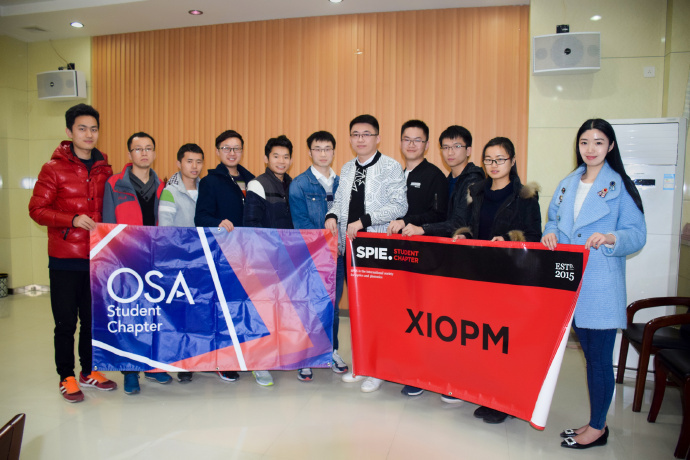 After enrollment extension in 2016, our chapter currently exists a total of 90 members, of which 65 from OSA and 25 from SPIE respectively, whose specialty ranges from optics, photonics, laser, optical engineering to imaging processing, materials and communications.